If you’ve ever done a villager’s farm, this mod would have saved a lot of time to you. 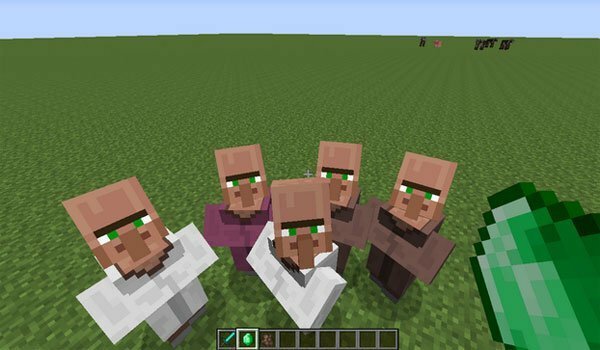 Villagers Need Emeralds 1.7.2 is a simple mod that is responsible for making the villagers follow you wherever you have an emerald in hand, that is, the same function that has wheat for chickens in Minecraft. This allows you to lead the villagers to where you want, without complex transportation systems for villagers without spending lots of resources in these systems. As simple as it is, moving villagers now. How to install Villagers Need Emeralds Mod for Minecraft 1.7.2? Now the villagers will follow wherever you want whenever you have emeralds!